The Jackson Convention Complex is an iconic landmark that stands as an essential part of the Jackson, Mississippi. This enormous facility encompasses 330,000 square feet in the heart of Jackson, MS, just minutes away from some of the city’s finest attractions. Its accessible location combined by expansive and diverse event space makes it one of the best entertainment venues in the state. Although its advantageous location and abundant space are extremely favorable aspects, the most amazing quality of this campus is its versatility. All kinds of exciting events are hosted at this venue, from ballets to hockey games. Learn everything you need to know about the Jackson Convention Complex events to enjoy some of the finest shows in Mississippi! Where Is the Jackson Convention Complex? You’ll find the Jackson Convention Complex at 105 E. Pascagoula Street in Jackson, MS. This center conveniently offers its own parking as well! They have all the information you need for parking, directions, and more on their website. What Are Some Jackson Convention Complex Upcoming Events? This multipurpose facility hosts any and every kind of event! From private corporate meetings to large-scale entertainment, the Jackson Convention Complex hosts events of all types and sizes. Events that are held here include expos, banquets, cotillions, balls, conferences, concerts, and luncheons. One of the most famous events held here, however, is the Jackson Rhythm and Blues Festival! This highly anticipated annual event includes two days of some of the best music and food you’ve ever experienced. Stay up-to-date with their events calendar so you don’t miss the next Jackson Convention Complex upcoming events! Can I Host My Own Event at the Jackson Convention Complex? The Jackson Convention Complex is one of the finest places in the state to host your own event, whether big or small. You’ll find a talented and helpful staff here ready to help you plan your own extravaganza. Contact them today to see how they can aid you in creating one of the best parties ever, whether it’s for work, family, or just for fun! Stay with Us at the Fairview Inn in Jackson, Mississippi! You’ll never run out of amazing things to do in Jackson, MS! While you’re exploring the many fantastic qualities of this great city, be sure to stay in cozy and comfortable accommodations! Fairview Inn is the perfect place for you to stay during your trip; our bed and breakfast in Jackson, Mississippi, offers deluxe rooms and suites, delectable dining, private lounge, library, game room, and even a spa. Choose from exploring the many nearby attractions of downtown or simply reveling in the comforts of our lovely inn and its relaxing, peaceful environment. You’re bound to love what we have to offer in our haven of Mississippi, so don’t hesitate another moment; check our availability and book your stay today! 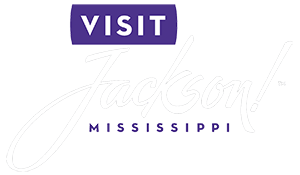 To learn more about the many things to do in Jackson, MS, like attending events at the Jackson Convention Complex, download our free Vacation Guide!